If the turkeys aren’t nervous yet, they should be. Stove Top Stuffing and jellied cranberries are flying off the store shelves. In a couple days, most of us will get together with family for a full day of feasting, football, and the inevitable tryptophan-induced slumber. Thanksgiving is two days away, and it’s a day in which we reflect on all that we are thankful for. I won’t be partaking in the family festivities. It’s my turn to work the 5-day holiday “weekend,” but I do expect there will be a large plate of leftovers waiting for me (you hear that, Mom?). We’ll probably have football on in the O.R. lounge, and I’ll be spending time with people I’ve gotten to be pretty close to over the last five years, so I’ll still get some sort of Thanksgiving experience. I’ll also take a moment to count my blessings. I am fortunate to be in a position to make this the last holiday season I’ll ever spend carrying a pager. We’ve saved enough to support our retirement and then some, and we can afford to help others who are less fortunate. I frequently write about charitable giving in spite of the fact that my readers don’t seem particularly interested in the topic. It may be that you’ve already got your giving plans down or that you are still in debt yourself and not ready to share a wealth you don’t yet have. Either way, it’s a topic that’s important to me and I plan to continue writing about giving. Maybe it’s my fault you haven’t been reading my charitable giving posts. I haven’t properly incentivized you to do so. That changes today. Stick around and I’ll tell you how to get $100 to a charity of your choosing and it won’t cost you a penny. Many of my giving posts revolve around the use of donor advised funds (DAFs). I’ve had them with T. Rowe Price, Vanguard, and Fidelity. I currently have holdings with both Vanguard Charitable and Fidelity Charitable and will most likely use only Fidelity in the future. Fidelity Charitable and Schwab Charitable allow you to easily donate as little as $50 at a time to any IRS-registered charity, and you can do so anonymously without having to track any receipts. Other DAFS work similarly, but some have much higher minimum grants. For Vanguard, it’s $500 per grant. So, for example, if you wanted to give $100 each to 100 different charities without ending up on their mailing lists, it’s quite simple to do with Fidelity Charitable. I’m guessing it can be done in one evening, and if we’re not in the operating room all day, that’s exactly how I plan to spend a couple hours on Thanksgiving this week. While I encourage you to stick around and read additional posts on the topic if you are not familiar with the DAF, I’d like to give a brief overview. A donor advised fund is an account that you open with donated dollars. Once your money is in the DAF, it’s no longer yours. It belongs to the DAF, which is a charitable organization in its own right. The money can then be distributed to any 501(c)(3) public charity or foreign equivalent. There are over 1.7 Million of these in the United States alone. You can find them on Guidestar’s Search page. According to the National Philanthropic Trust, there are 464,000 DAFs in the U.S. with assets of $110 Billion. Last year, $29 Billion in funds were contributed to DAFs and $19 Billion was granted from them. I’ll take credit for inspiring at least a million dollars donated to them last year based on the feedback from a number of people who started six-figure DAFs of their own after reading about mine. DAFs are growing in both popularity and effectiveness as more money is granted from them each year. When contributing to a DAF, you can donate appreciated shares of stocks, ETFs, and mutual funds, eliminating the capital gains, effectively reducing your potential capital gains tax exposure. You can also give real property and other assets. There are fees to keep your money in a DAF. Vanguard, Schwab, and Fidelity each charge 0.6% plus very low expense ratios in the funds. That fee is nearly identical to the tax drag my dollars are subject to while invested in a tax-efficient manner in our taxable account, which is where this money would be if I hadn’t donated it. Those who cite fees as a big drawback are either in a very low-tax situation (early retirement perhaps) or haven’t thought through the alternative. The other main argument against them is the fact that you can leave money in a DAF more or less indefinitely, even passing it on for your heirs to donate some day. Charitable foundations donate, on average, about 5% of their assets annually, whereas the DAF donation percentage is closer to 20%. The White Coat Investor went so far as to call “giving” to a DAF account a “jerk move,” but he has since conceded and admitted plans to open a DAF of his own in a couple months. I like to think of a DAF as a low-cost foundation that someone else administers for you. All you have to do is put money in and tell the administrator where you want your already-donated dollars to go and when. I’ve outlined exactly how to do so with Vanguard Charitable and Fidelity Charitable here. It’s remarkably easy. A week ahead of Giving Tuesday, I’m setting the mood by making one hundred grants of $100 each from our Fidelity Charitable Account. This will be in addition to the giving that we normally do as a family throughout the year and at year’s end. As you may know, I donate half of my profits from this website. Most of the donations are made to the donor advised fund, but I decided it would be fun to crowdsource the recipients in today’s round of generosity. I started with the advertisers that have supported the site in 2018, asking them to choose a charity for me to support in return. Without them, this site wouldn’t be much of a charitable mission. The following is a list of the advertisers who responded and the recipients of $100 grant from us. Many of them support these same organizations with substantially larger sums. 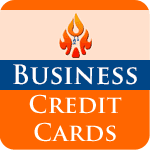 Note that in the case of the larger businesses, the charity was chosen by our primary contact at the company. The individual’s choice should not be assumed to reflect the company’s primary choice as a recipient of their charitable giving. I’ll be donating a total of $2,800 based on my advertiser’s recommendations. That leaves $7,200 to donate, and that’s where you come in. I’ll ask you to recommend grants, but please do so with the same stipulations that I asked of my advertisers. The recipient must be a 501(c)(3) charitable organization. No Gofundme campaigns. No giving to individuals. These are the rules laid down by the IRS, not me. Also, I want to give to organizations whose missions pretty much anyone, regardless of religious or political affiliation, could not argue with supporting. You are welcome to give to your church and politically active charities on your own, but for this experiment, choose a non-partisan organization. If you’re not sure about what could be considered a gray area, please identify a safer bet. If it’s local or personal in some way to you, that is great. 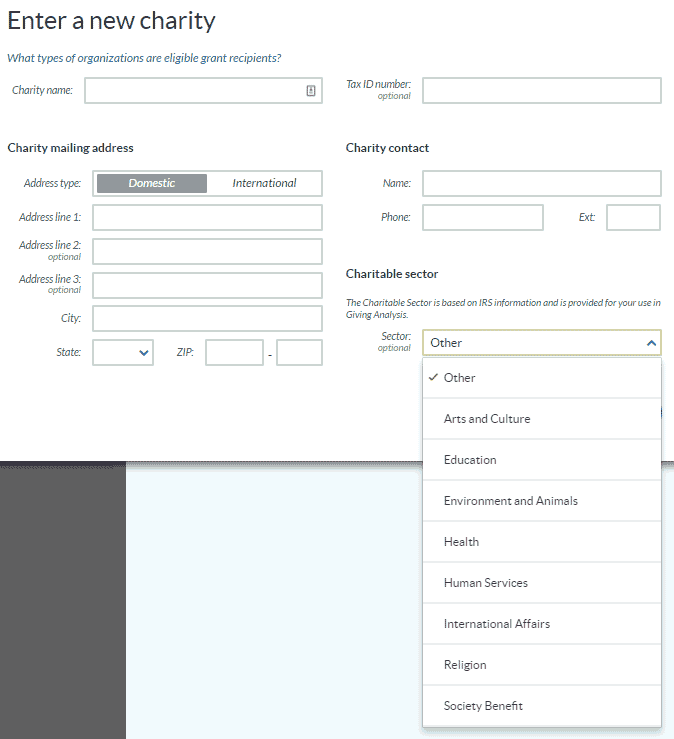 A great place to find an IRS-qualified public charity is Guidestar’s search engine. Ideally, a link in the comments to the Guidestar profile will give me all the information I need to instruct Fidelity Charitable (the DAF I will be using) to make the anonymous donation. If you are unable to find the charity there, please share the following information with me (this form comes from Fidelity). In the comments section, please enter as much information as possible to allow me to easily support the charity of your choice. The first 72 recommendations that fit the criteria above will receive $100 in the form of an anonymous grant from our donor advised fund. If you don’t have all the information right now, please enter the name of the charity now to reserve a spot and come back before midnight CST Wednesday night and reply to your comment with the remaining details and preferably a Guidestar link if available. If you would like the grant to be made “in honor of” or “in memory of” an individual, including yourself, please also mention that in the comments. If you’re recommending a charity that you are not already supporting with your own funds, please consider making a matching or larger grant, now or in the future. 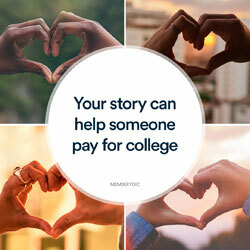 If you’d also like to support Scholarship America, Laurel Road is donating $100 for every written story (of 200 to 400 words) and $200 for every 30 to 90 second video about how someone helped you pay for college. Submit your stories here. How can you support the site’s charitable mission? I like to refer to it as our charitable mission because without readers, there’s no profit and no mission. I’ve been very transparent in how this site makes money. Since I donate half of my profits, the best thing you can do is to help grow the site’s profit. I’ve got ads in the header, right sidebar, and a couple in each post. There are also ads at the bottom of my e-mails and on some of the other pages on this site. Those are sold directly, mostly to small businesses, by Cindy, my ad manager. If you have an interest in advertising, you can find more information here. Please support the site’s advertisers and let them know I sent you. 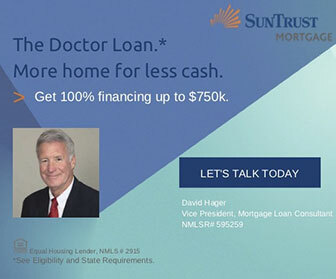 I also have affiliate relationships with student loan refinancers, crowdfunded real estate platforms, Personal Capital (which I’ve been using since late 2014, long before I had a website), and a few others. If you use one of their services after reaching them via a link here, this site may get a commission for the referral. One of my best performing affiliate relationship has been with Personal Capital. If you are a blogger interested in an affiliate relationship with them, please accept my invitation to work with FlexOffers to create your own affiliate links. Doing so could result in some small commissions for me. 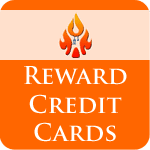 Another avenue is the recommendation of particular cards via CardRatings. 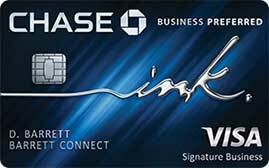 If you’re new to earning valuable rewards redeemable for travel or cash back, Chase Cards are a great place to start. Which charity would you like me to support with a $100 donation? If there are fewer than 72 comments recommending charities, please enter the required info for your chosen charity. There are so many great causes that could use our help. Again, a link to the search results in Guidestar would be helpful. If you cannot find your top choice that way and you’re certain it’s a bona fide public charity in the eyes of the IRS, enter as much as you can based on the image from Fidelity above. One recommendation per person, please. If you only have time to name the charity now, please return by the stroke of midnight Wednesday, 11/21 to fill in all remaining details in a reply to your initial comment. No e-mail, Twitter, or Facebook requests will be honored. I’ll only be looking in the comments section here on this article. Thank you for your furthering our charitable mission! Rick Taylor, Executive Director at 206.826.8926 or [email protected]. 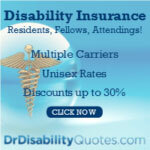 Kristen Cook, Marketing & Development Director, at (206) 826-8931 or [email protected]. Thank you for giving to Phages for Global Health in honor of Betty Kutter. Bacteriophages are part of the answer to the problem of antibiotic resistance, but not patentable in the form they have been used for a century, so funding is difficult. western medicine. Future Microbiol. 2015;10(5):685-8. My niece was born with the mutation which causes seizures and a range of physical delays. When she was born there were a handful of other cases. Over the last 6 years more and more cases have been discovered. Just writing in to say that I’m very inspired by what you do and by your giving pledge. Although you might be donating to local charities, your actions and values resonate across the globe. Please consider the Salvation Army. They have one of the lowest administrative expense burdens and do a world of good for those in need. Any location – perhaps one in Minnesota. Your November was unbelievable cold. I’ll come back and fill in the form Wednesday. Thanks for all the great work you do, POF! Journey House empowers families on Milwaukee’s near Southside to move out of poverty by offering adult education, youth development, workforce readiness, and family engagement. I am a third year medical student at the University of Nebraska Medical Center (UNMC) and have been a part of the SHARING Clinic, our umbrella name for our 5 sister completely free student-run clinics. I was the treasurer for the clinic for 2 years and continue to volunteer now. We have a primary care clinic, a diabetes and it’s co-morbidities clinic, a sexual health and wellness clinic, a diabetes ophthalmology clinic, as well as a dental clinic. We are one of the oldest student-run free healthcare clinics in the nation at 21 years old and are also unique in the fact that we are completely run off of donations, have a wide also breadth of care, and are very multidisciplinary inckuding medicine, dental, PT, OT, social work, nursing, clinical lab science, and more! Likewise, we also had the exciting opportunity to not only start the nation’s only student-run free clinic scientific conference many years ago but also just hosted again last year where we had over 600 attendees from all regions of the US and even some international attendees. The SHARING Clinic is truly near and dear to my heart. I have put in countless hours to their mission and have been able to truly see the good that we are able to bring our hubdreds of patients every year (over 5,000 patient visits to date!) who have no other option. I would appreciate your consideration in helping us continue our mission. I would be more than happy to answer any questions that you or anyone else has. Thank you so much! Our patients, students, and faculty truly appreciate the consideration and look forward to talking with you. You got it, Jared. Marking this as request #10. Great idea, POF. You are doing great things here. Given that suicide has profoundly impacted my life, I’ll put a hat in the ring for the American Foundation for Suicide Prevention. Thanks for being a trend setter in this space. I’ll be traveling with this group in January in my first post-FIRE mission. Thanks for everything you do PoF! Thanks POF. The Michigan Mountain Biking Association is a group everyone can support. They get people outdoors and pedaling. conservation in the public interest. My friend’s daughter just participated, and I donated to support her. My friend was one of the parents who participated as a companion runner for her daughter and two friends. You are right, that I pick charities at the beginning of the year to give to. I find it helps me turn down requests for thing I don’t really support, and have time to do research via charity navigtor. I keep some set aside for run/bike/ walks friends participate in. There is usually a bike race request around August that didn’t happen, so I was happy to donate to my friend’s daughter’s 5k. What a great idea. As a former fundraiser, I know how much your generosity will mean for the organizations that you are supporting. Minnesota Adult and Teen Challenge is doing great work to help those impacted by addiction to drugs and alcohol. They have a treatment center in Duluth, MN as well as in several other locations around the state. They’ve got one right here in Brainerd. Thank you for the request! That’s great. I have only been reading for a few weeks and for some reason thought you were in Duluth. I live in Northwestern Minnesota (about 35 minutes west of Bemidji). It’s actually a really small world. Thank you for your generosity. What a fun idea and a great way to get people thinking about how and where to give. Awesome POF! I’m putting in my place holder since I am on my phone – will fill my info in once I get to work!!!! I would recommend this charity. It was started by a mother of a child I diagnosed and later lost due to leukemia. After the loss of their daughter her husband took his own life and the creator died in a motor vehicle accident. Volunteers have kept the organization going, targeting pediatric recipients and builds volunteers. Thank you for any donations you make not just to this one, but also for bringing awareness to making donations a good idea. This is a religious organization (not my denomination, in case it matters) founded by a Mennonite couple, Sandy and Jerry Tucker, in 1984 to care for “the children that nobody else wants“. Sandy died of ovarian cancer in 2007 but Jerry carries on. I have supported this ministry for about 30 years and donations are used 100% to support their organization. For many years, Jerry has traveled at his own expense to 3rd world countries to bring children to the home who need medical care. They have adopted and raised many children who did not have families to return to and a few years ago they began a prison ministry to take in the children of women who were born to them while in prison. Their goal is to reunite these children with their moms when they are rehabilitated. I cannot say enough good things about Jerry and his volunteers. Thank you so much for offering to do this. Thank you PoF! You are an inspiration!! Please donate to Rotary Foundation https://www.guidestar.org/profile/36-3245072 making the donations and hard work of many thousands of Rotarians and well-wishers go even further! My Grandfather would be proud. He was a Rotarian. Marking this as request #20. Please consider El Grupo Norte, a youth cycling nonprofit focused on creating a culture of “bikes for life” and active, outdoor lifestyles. They also support community projects aimed at creating more bike/walk/alternative transportation in our town and reducing reliance on cars. They offer bike loans to participating kids (no kid left behind! ), race team opportunities, bike maintenance training, etc. Repairers of the Breach Homeless Clinic, a vital service for Milwaukee’s homeless especially in the cold winter months to come. A place I volunteered throughout medical school and continue to support today. Children in need are always around us – they are our future! Please support the Nelson Mandela Children’s Fund which cares for the less fortunate in ways they would never be able to afford! Your donation will touch thousands of young lives. Thank you!!! I’ve selected an Alcohol, Drug Abuse organization for your generous giving. Thank you and Happy Thanksgiving. This is a wonderful idea, POF! Great idea POF! And you’ve got me to start reading/learning about DAFs. Thanks! I suggest donating to TART Trails. They build and maintain walking & biking trails throughout my region of northern Michigan. Hello PoF. Great idea, allowing users to submit giving suggestions! Here’s mine. I saw this on CBS Sunday Morning a few weeks ago, and thought it sounds like a good idea. Thanks, POF! I recently opened up a DAF this year thanks to some of the posts you made. They help children escape poverty by providing basic needs, education, and a support network. I have been supporting Preemptive Love Coalition with monthly donations for most of the year. I was moved by their Instagram posts and my desire to help refuge families despite being so far away from them. Please consider supporting them. Thank you. This one’s for the birds! Marking down as request #30. Please support Project Pinball, dedicated to providing therapeutic assistance and recreational relief to our pediatric patients and their families, as well as the physicians and nurses who care for them at our local Children’s Hospitals and Ronald McDonald Homes across the United States. To date, Project Pinball has donated and provides ongoing service and maintenance for over thirty-nine locations from coast to coast. I love this idea!! My favorite charity that I want to nominate is Ruff Start Rescue, based out of Princeton, MN. My passion in life is finding forever homes for abandoned/unwanted dogs. I used to foster dogs through them, and now I support them financially. They do amazing work and it’s all volunteer-based. We looked at several dogs from Ruff Start (online) when we were looking for a family pet about five years ago. We drive through Princeton often. Thank you for being such a great role model in financial AND charitable ways. I’d like to recommend the Rise Above Foundation for your donation. As foster parents, we see demand for all types of support that kids in the foster care system need. Rise Above does a lot on a shoestring to help. A project by an Iowa Rotary club that partners with a local Rotary club in Guatemala to support annual medical mission trips to provide cleft lip, cleft palate, and dental surgeried to impoverished children in Guatemala. I had the opportunity to go on one of their trips as an anesthesia resident… This group achieves quite amazing work. On a personal level, I would recommend any physician, NP, PA, CRNA, AA, or RN to go on a medical mission trip sometime during their career. It really helps you put life in perspective, focus on what is important in life, and get off the Hedonic Treadmill. Saving spot for further comments. Please support this church which is trying to expand by purchasing a new building. Thank you for your site and guidance. Sorry, no churches today. Can you recommend a different charity? This is a local soup kitchen I would like to recommend. Eastview Lightning Robotics, our local high school robotics team, that enables more than 60 students to pursue competitive robotics and learn about STEM, teamwork, and prepare for a career in a technical field. I know they’ve had good football teams at Eastview, but I wasn’t familiar with the Robotics team. $100 is on its way! Great idea and really impressed with your generosity. I would like to propose California Community Foundation’s Wildfire Relief Fund. For 15 years, the foundation has offered aid to those affected by wildfires. Grants have gone to rebuilding homes, providing financial and mental health assistance and helping those affected to get medical treatment. The Camp Fire in Northern California has been a devastating event. People have lost everything and the damage has been beyond imagination. I know these funds will be put to very good use. Actually can I change it?? This charity is more directed the the fires in Northern California-North Valley Community Foundation. Yes — I think that’s perfectly appropriate for a Bay Area MD. Thank you. Thanks for giving back! Well done! I would highly recommend GiveWell. They are at the forefront of the Effective Altruism movement using evidence-backed recommendations to cost-effective charities that do the most good. Also, here’s their website: https://www.givewell.org/ I think their top charity right now is the Against Malaria Foundation. I’m donating to them, the Future of Life Institute, and Animal Charity Evaluators this year. MMM has talked about them, as well. The effective altruism concept is one I can definitely get behind. Marking this as request #40.
great Idea! here’s the guidestar link. Wow! What a great example you are to all of us! The Gary Sinise Foundation (services for veterans and their families). I’ll get back later w/info. I am as always so impressed with your generosity. The charity I personally support both with my time and money is a MN local charity, Carver Scott Humane Society located in Chaska. For a relatively small organization they do tremendous work in the community. They are in the process of moving locations in Chaska due to water damage in their building this fall. They could really use your help. Thanks! Please note in honor of Watty Piper. I didn’t see any breweries in the Guidestar registry. 😉 I’d like to hold this spot for now. This is a wonderful idea! Thank you! These folks fund research for polycystic kidney disease. One of my sons has the recessive version of the disease and required a kidney transplant when he was two years old. He’s eight now and doing really well. This is so great POF! Thank you for all you do! My charity of choice is Guitars for Vets. Thank you for your generosity POF! NC MedAssist is a nonprofit pharmacy program providing access to lifesaving prescription medications, patient support, advocacy and related services to poor, vulnerable, and uninsured North Carolina residents. NC MedAssist seeks to ensure that no eligible person in North Carolina has to choose between purchasing food or their needed medication; improving the patient’s health and lowering uncompensated health care costs for all stakeholders. I’ll thank you three times, because I know you had to submit your comment that many times. Sometimes the Spam screener has a false positive or three. Marking your excellent request as #50. This is for Cystic Dreams fund. The Cystic Dreams Fund seeks to support individuals and families impacted by the huge costs cystic fibrosis can generate. These costs may include drug co-pays, medical bills, and transplant-related expenses. We hope to raise awareness that more than 50% of cystic fibrosis patients are adults. Because cystic fibrosis is a progressive disease, many of these patients are unable to work and need financial help. EIN: 45-4871054. Mailing address is PO Box 59250, Birmingham, AL 35259 USA. It is identified on Guidestar’s website. I enjoy your site so much! Please read the stipulations in the post and choose a different recipient. Many organizations have a religious affiliation, and that’s perfectly fine, but for this exercise, I’m not donating directly to a church. Thank you, POF. I saw that comment right after my rush to post to become one of the first 72 recommendations. I’m unsure how to edit my prior post, so I posted a second comment requesting a donation to the United Way of Central Alabama. I appreciate your response. I would love for you to consider donating to the Plutus Foundation. (I created this, and I am the Executive Director.) 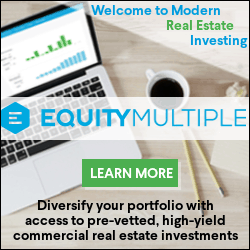 The mission is to provide resources to members of the financial media (mostly independent bloggers, podcasters, authors, etc.) to support their efforts to bring financial literacy into their communities, and we do this by providing grants. With our mission to support the independent financial media, we’re also launching Plutus Voices next year, and resources to go along with the program we’re bringing to several cities. You can find us on GuideStar, and we will be launching our #GivingTuesday campaign soon. You got it, Harlan. I’ve enjoyed the awards ceremonies the last couple years. Love what you’re doing beyond the convention center ballroom, too. Great work, I very much admire what you’re doing. I’d like to recommend Fight CRC – they support, educate, and advocate for folks affected by colon and rectal cancers. Please continue to write about charitable giving. 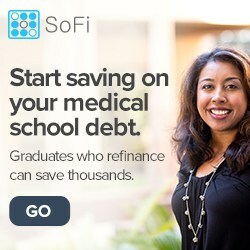 I think everyone should give of their time and/or money, no matter where on the path to FI they might be. I’ve been supporting the Natural Resources Defense Council for many years now. Environmental preservation has been a deeply personal cause of mine, and the fights NRDC wages, and many times wins, are what allow all of us to continue to enjoy the wild, open, beautiful spaces this country has to offer. Please consider lending your resources to this cause. Thank you! Thanks for all you do year round and especially your holiday generosity! I’d love a donation to Flying Fur Animal Rescue in memory of our sweet Coco. This organization takes animals from abusive situations and high kill shelters and transports them to foster, rescues, and families where they can get a second chance at life. Thanks again! Thanks for all do you for the animals! Marking yours as request #60. Advancing the research and awareness of both post dural puncture intracranial hypotension and less recognized spontaneous intracranial hypotension. This injury/disorder is quickly remedied if identified early, but can have life long residual issues if there is a delay in diagnosis. Thanksgiving weekend marks the 2nd year anniversary of Mrs. Shirt’s battle and recovery. Thank you for your generosity. I have recently become involved with Guardian Partners (https://www.guidestar.org/profile/46-0907112), which provides education, case monitoring and resources to Oregon Guardians and their families on behalf of the Court System. 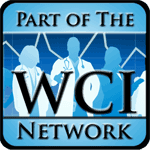 They are a small, but growing organization with good transparency. I like that the case monitoring looks at all aspects of teh guardian relationship — medical, environment, and financial health. Cathedral Arts project helps teach the arts to inner city youth. Provide free and low-cost summer camps, childcare, and recreational options for workings families! They were instrumental to us for summer camp options when I was a resident! Thanks POF. Please consider the Cystic Fibrosis Research Inc. Some incredible research is lined up to try and finally cure the world of this horrendous disease. Hope I’m not too late, but either way it’s great to see all this good being spread around to so many deserving charities. You rock PoF!!!! Camp Ronald McDonald for Good Times.. is a Ronald McDonald House Charity of Southern California. They are a camp for children with cancer, their siblings, and family. I’m probably past the limit, but if not-thanks And please consider Heifer International. Heifer International’s mission is to end hunger and poverty and to care for the Earth using gifts of livestock, seeds, trees and training in sustainable agriculture community development projects to help millions of people become self-reliant. Since 1944, Heifer has helped transform the lives of more than 30 million families by giving them gifts of cows, goats and other livestock. I would like to suggest the Violence Policy Center, in honor of Dr. Tamara O’Neill who was killed at work (along with several others) recently in Chicago by her former abuser. Excellent suggestion, and I’m sorry we have to honor the young doctor in this way. So sad. Yours is request #70. Id like to request the cholangiocarcinoma foundation, for the few people I know who even at a young age are suffering or have passed due to this disease. Founded at the request of Albert Einstein, the IRC provides basic needs (food, water, shelter, healthcare) to refugees around the world displaced by war, natural disaster, genocide and other factors out of their control. How on earth it took this long I have no idea. I haven’t vetted every charity above to ensure they’re an eligible 501(c)(3) so if a few more requests trickle in, that wouldn’t be a bad thing. Thank you to all for your requests, and I’ll do what I can to fulfill them over the holiday weekend. We may have reached our quota, but there’s no way in hell I’m saying no to the doc who’s fighting kidney cancer himself. I hope it makes the cut! Thanks for your amazing charitable contributions to a variety of organizations! What a wonderful gesture for the holidays! They do great work with kids and families dealing with T1D including weekend and summer camps for peers. Over the limit, but I’ll let it slide. 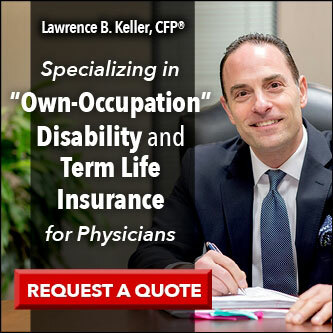 I recently came across a 501c3 called “RIP medical debt” based out of New York and their premise is to buy medical debt at pennies on the dollar and then promptly forgive individuals of that debt. I really hope to be actively involved in their movement as my financial status improves (still buried in student loans & just 2 yrs out of training), but consider donating to their cause as they stretch $1 into $10,000 and $10,000 into $1,000,000!! Love the blog, love the insight and love the charity based blog posts!! Arizona Pug Adoption and Rescue Network. I’ve fostered for them in the past — a first class rescue organization. Please consider the Vanessa Behan Crisis Nursery in Spokane, WA. Its mission is to help families in crisis to support them and prevent children from being neglected or abused. As a pediatric ophthalmologist who is part of the child abuse frontline, I see first hand how the crisis nursery has helped families in need and potentially averted an neglect or abusive situation. In case some of the earlier 72 do not qualify … Thanks! If you have room for more please consider donating to The Mother’s Milk Bank of the Western Great Lakes. The bank provides pasteurized human donor milk to hospitals in Wisconsin and IL. Donor milk is the ideal nutrition for sick infants when their mother’s milk is not availabe. My wife donated gallons of the stuff when our babies were babies. A worthy cause, for sure. I’m pushing $11,000 donated at this point, but I’m happy to help. wonderful thing you are doing! Since you got your request in before midnight and came up with an outstanding request, I’ll allow it as the final donation for this exercise in 2018. It’s interesting that it took so long to get enough responses. I am pondering why that would be. However thank you for continuing to give. Founded in 1892 and serving the homeless and needy with daily meals, shelter and doctor/vision/dental help. It’s a 501(c) charity and we have donated hours to help serve these folks. Great facility to help people get on their feet and off the street. The volunteers are happy to help and it’s a great cause to support. Thank you, Lisa. I’m not able to contribute this year, but please keep your eye out for a similar post in 2019! Thank you all so much for the many worthy requests. We have more than met our quota, and I will be fulfilling the grant recommendations over the holiday weekend. The Children’s House of Bucks County Montessori School. https://www.chbcmontessori.org/#! Happy Thanksgiving to PoF and to PoF Nation! You are amazing, PoF! Sorry I’m late to the game but I’d like to suggest The Ronald McDonald House of Albany, NY. They house families with children that are undergoing treatments such as chemo at the nearby medical center. It is a beautiful place for families to be comfortable while going through the most challenging times in their lives. We are going there to make breakfast for the families this weekend. The contact person is Colleen Cunningham. I have a login at Guidestar that lets me see lots of details. I never give to cold callers, either. Lots of borderline or outright scams doing that. Children’s surgery international! We do urological and ent surgeries around the world AND teach any qualified and willing docs how to do them! That’s wonderful, Erin. I’ll be publishing a post about my experience doing pediatric and orthopedic cases in Honduras next week. This year’s donations are spoken for, but look for a similar post next year. POF – I received an anonymous $100 check in the mail the other day, and then I remembered that I had responded to this post requesting a donation for my charity Juntos Servimos (juntosservimos.org) which serves the impoverished people in the colonias around Matamoros Mexico. I was so excited to receive this gift, and it is one of the easiest fundraising requests I have ever made. Thank you for your generosity, and Merry Christmas! Happy to make your charity’s Christmas a little brighter. We have fond memories of our three weeks in Guanajuato, and I’m sure the money will be put to good use south of the border.